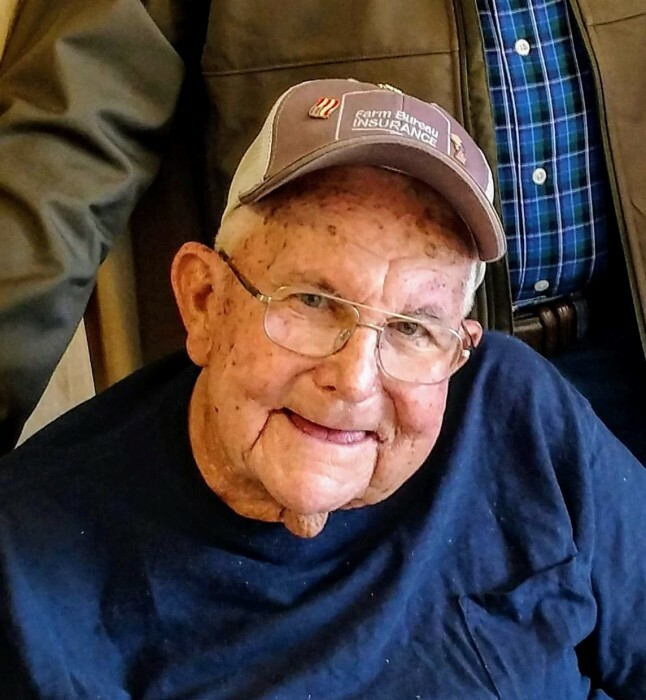 Mr. Joseph Franklin “Joe” Jones, passed away Monday, February 4, 2019 in Bells Nursing and Rehabilitation Center. He was born May 2, 1934 in Crockett County to the late R.R. Jones and Louise Blurton Jones. He farmed almost all of his life as well as retired from Pictsweet after thirty-one years of faithful service. In addition to his parents, Mr. Jones was preceded in death by his wife, Shirley Tinker Jones; three children, Susan Williams, Barbara Hopkins and Scott Jones; brother, Billy Jones; son-in-law, Russell Williams. Survivors include a brother, Bobby Jones of Bells; five grandchildren Joey Williams and wife Kelly of Bells, Brandi Bradley and husband CD of Georgia, Casey Grooms and husband Micah of Memphis, Brittany and Dalton Jones both of Bells as well as five great grandchildren, Walker, Bryer, Will, Sam and Peyton. Serving as pallbearers are Kyle Holyfield, Tim Jordan, Curtis Cobb, Larry Sipes, Robert Lovell and Bradley Jordan. Funeral services for Mr. Jones will be conducted Wednesday, February 6, 2019 at 2:00 p.m. in the Sanctuary of Gadsden United Methodist Church with Bro. Justin Moreland officiating. Burial will follow in Walnut Hill Baptist Church Cemetery. The Jones family will receive friends on Wednesday at the church from noon until the service hour. In lieu of flowers the family requests memorials be directed to NOAH, P.O. Box 67 Maury City, TN 38050 or Austin Peay State University BCM Missions, 306 Drane Street Clarksville, TN 37044 in memory of Mr. Jones.